We would like to draw your attention to the upcoming event in the online world, starting in 2019. If you can, certainly do not miss one of Hungary’s largest events – Ecommerce EXPO, which will bring many opportunities to increase efficiency of both beginning and established e-shops of the Hungarian market. What is E-commerce EXPO about? A 4-day, organized, one-day event packed with information, news, trends, analyzes, and practical experience in setting up, running, managing e-shops, online marketing and sales. An event that provides the opportunity to learn, acquire or consolidate friendships and partnerships, and last but not least the opportunity to get new contacts or customers. More than 40 inspiring lecturers, more than 55 special exhibitors and more than 2000 participants will be 24 January at the Lourdes Conference and Rendezvényközpont. You will have the opportunity to meet and inspire by professionals such as marketing consultant Kriszt Janat, Google Illés Vadász as well as online marketing expert András Szőke and many other experts from Hungary and from abroad. 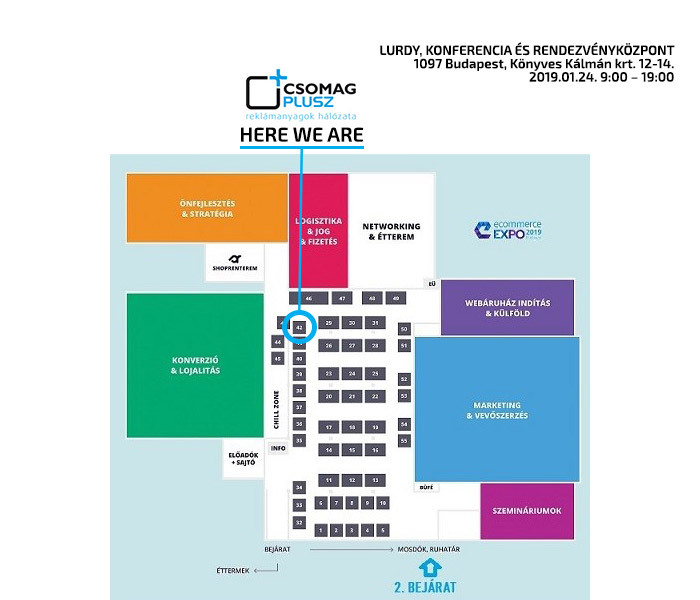 Of course, our Hungarian branch BALÍK PLUS – CSOMAG PLUSZ will be there. In the role of the exhibitor is ready to answer all the questions of the participants and to share the practical experience of both off-line and online coupon marketing. If you are going to participate or recommend this event to your Hungarian partners, we will be happy if you attend our stand there.